Angela Owens – Realtor | Scott Real Estate, Inc.
Angela is a military brat that grew up mostly in North Carolina. She attended the University of Arkansas on a Debate Scholarship (Yes, she enjoys a good argument!) and later graduated with a bachelors in Information Technology and Marketing. 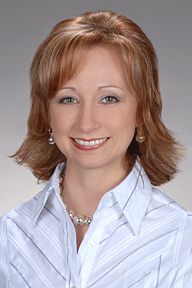 She transferred to the DFW area in 1995 to pursue a career in Information Technology. Angela enjoyed several years of managing and designing technology infrastructure before shifting into a role as Assistant Vice President for America’s Largest Homebuilder. Subsequently, she shifted her career to Real Estate. Why Did I Shift my career to Real Estate? My husband and I purchased our first home in 1996. I considered myself a reasonably intelligent person but the buying process felt extremely complicated. Realtors and lenders seemed to speak a foreign language. We were blessed to have met a wonderful Realtor that really held our hand through the process. Real estate became more intriguing to me over time. I began reading every book that I could find about real estate transactions and real estate law. I enrolled in college level real estate courses because it was important to me to learn as much as possible. I did not want my knowledge to come solely from fast track courses. In addition, I began studying the art of home staging. I turned into a huge sponge and truly studied the field before shifting my career. I work as a Buyers agent because I have a genuine passion for real estate and for assisting people who are in the midst of a hugely important and complicated process. My unique combination of experience and education provide me with credentials, and I work to share my expertise with each client to make the home buying process as painless as possible. My competitive approach to real estate is rooted in my collegiate career in debate and my professional career in the homebuilding industry. I enjoy negotiating and a good challenge. My client base includes builders, developers, and individual buyer clients. My insights into new construction and investment property have application to my entire client base. My business is heavily referral based, reflecting my clients positive Real Estate experience. My husband and I live in Bedford, Texas. I am a member of Fellowship Church in Grapevine and a volunteer in the Church Nursery. I love children and enjoy studying early childhood development. A true blessing arrived in February 2008; Brayden Stone Owens. He is our little Prince. In my free time, I enjoy decorating, reading, baking, scrapbooking and making gift baskets. My future personal goal is to learn how to knit. I look forward to working with you and providing the best customer service available. My ultimate goal is your complete satisfaction. Error: Error validating access token: Session has expired on Tuesday, 23-Apr-19 14:23:25 PDT. The current time is Wednesday, 24-Apr-19 16:56:25 PDT.